PAUL SCHOLES RTG E3 FINISH AGAIN, SIGN VIERA? All players used for games must be packed pulled. The esteemed board members will vote on all decisions I consider to be important or major to the club. Once Paul Scholes is signed he must feature in the starting eleven for all online games. Board members will be tagged in every major update to cast their opinion and or vote. Post your application below with the best quality you will bring to the club such as oh I don’t know taking risks…. I need a element of trust as I simply won’t have time to post every trade division run ect ect given how much more time I will spend on the account compared to last year. What I will try to do is one update say every Friday to give a rough idea what I did in the week/what coins we have ect outside of the poll updates of course. Disclaimer: This is a trial RTG to see if I can maintain the excitement on a main account using FO Players if not another RTG will start in January much like last year based on a player of my choosing. @Cadey 5 Nice one,count me in! best RTG can I join as board. That is a good point! Good luck getting him - at least his Prime won't be millions or SBC released in May. THE STARTER SQUAD AND BWP IN FORM???? So the web app treated us nicely with a Seria A and BPL players pack as out login rewards which has resulted in us having the above starter squad! Almost full chem already which is fantastic. However I picked England as our starter squad and we received a NIF BWP when he is a in form so there is a small chance we could get granted our first in form within the next four months. We have quite a few gold players not in the above picture who I will just keep in the club for the time being as what can we do with the coins? I will be spending what time I can on early access on SB because I am not taking this team online! I have put the clubs first player pick up to a vote because it is a moment in history. I will make the remaining ones myself as they are not important players to the club. Applications still open cough cough. i'm 95% sure i'm off FUT this year (maybe a TOTY splurge as i love opening packs) but i'll surely be around for the weekend thread and now this! Like to join the fun if there’s a space! @VICTAAAA couldn’t leave out the gambler of the thread. 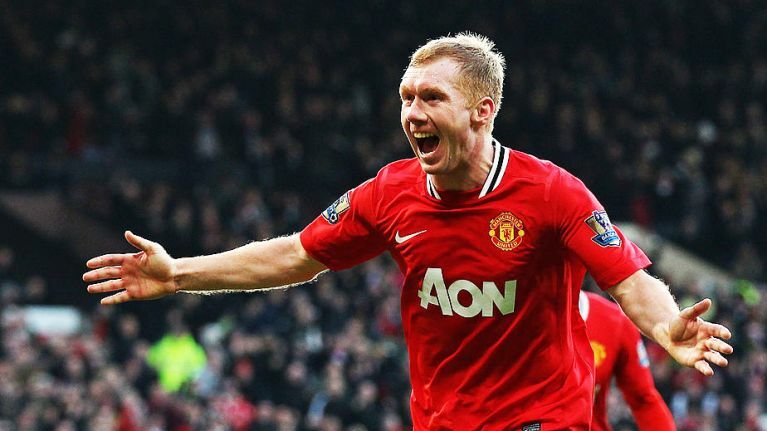 I do like Scholes as a football fan; IMO man was a world class player. Edit: voted Jovetic, his cards are always class and hopefully we get some Monaco/Ligue 1 links for him ASAP. This'll be an interesting one... can't afford Best myself, so might get him myself if he's good enough (either that, giggs or Keane). Will keep up to date on it when I can. I’d like to be a behind the scenes tie breaking vote if ever needed. When needed, call in the big guns. LOl. Will probably get enough game time to get 10k from G1 SB and with the 1000 coin unlocks I might grind enough coins for the Advanced SBCS to be ready for my second big update on Friday and search for them OTW pulls!! but is this a good plan? or should I save the coins see what drops on release? Voted get them done you lazy sob. Still possible to join the board? Enjoyed the last season a lot. Will add you both, never to late to join in. I would love to be part of this one, I really enjoyed voting in the Pirlo one! !